If you know me and my style, then you'd know that a maxi dress is a must-have for my summer wardrobe. I always plan ahead when it comes to my summer activities and I do the same with organizing my closet. I stock up on a few basic essentials come summer time so I have something light and comfortable to wear on various summer activities. And almost always there is one item that is never missing off of my checklist: maxi dress! Gone are the days wherein I was intimidated by it; I seriously thought maxi dresses for short people or petite women like me is never a good combination. As it turns out, it is all about identifying your body type and you can choose a style that works for you. 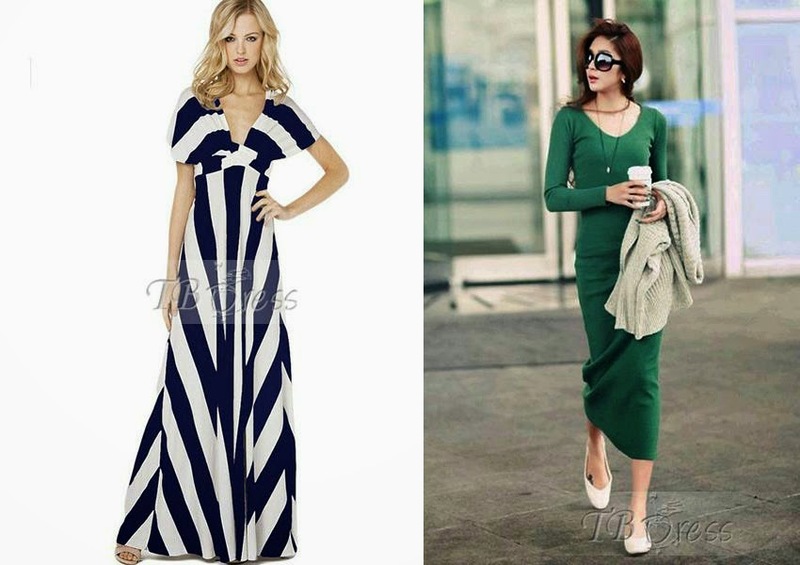 Did you know that you can even find plus size maxi dresses with sleeves nowadays? Indeed, it is a testimony to the fact that maxi dresses aren't just for the model-like body types. You can wear it too! I have gathered a few of my favorites from TBDress.com for you to choose from and maybe add to your summer wardrobe. Do you consider a maxi dress an essential for summer, too? Disclaimer: I was compensated for writing this post. However, the opinion expressed are my own. When I saw this two-piece suit from Choies, I was instantly drawn to summer time. The print and the color are both fresh and vibrant. Hence, I like to wear this suit as is - with only my sunnies as the accessory. With summer on the horizon, this two-piece suit is going to be getting a lot of wear, I predict. This is my second purchase from Choies and as equally pleased as the first one. Even when I think I'm more adept at online shopping, it is still a hit-and-miss scenario with a few online shops. Not this one though. Oh, and did I mention I got it on sale? Double win! What is your favorite summer wear? Bags, like shoes, make an outfit. It is an item that ties it all together. 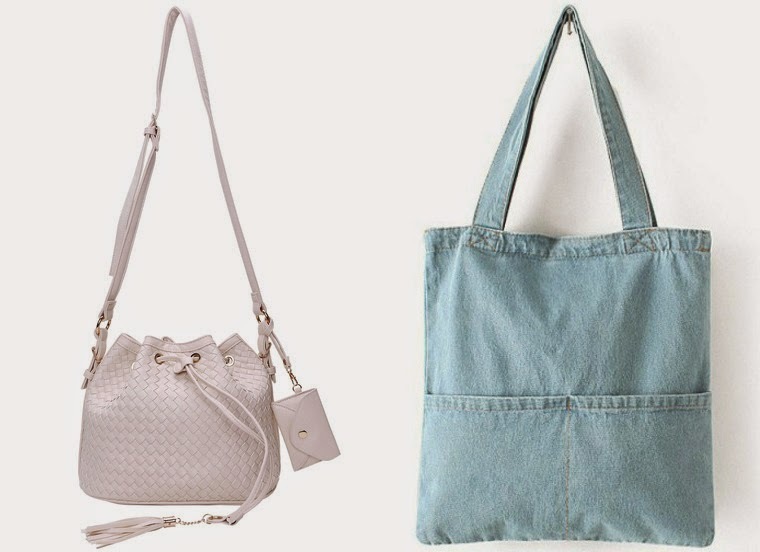 But handbags for summer offer more than just style, it's all about the function too. 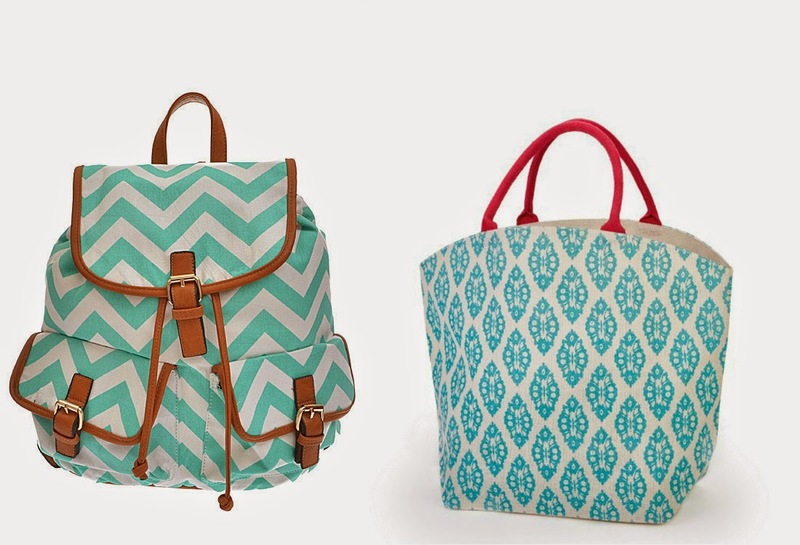 It might be tempting to pick up a cute bag but at the end of the day, you want to invest in a bag that can carry all of your essentials for your day's activity. 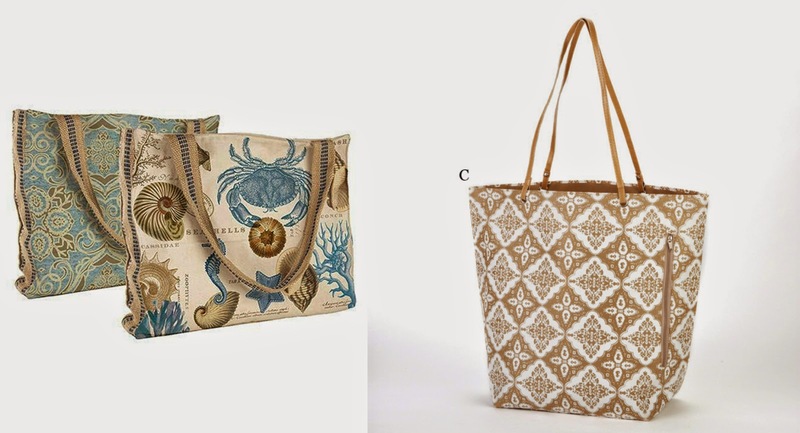 What is your ideal summer bag? Disclaimer: This post contains affiliate links. Thank you for your support on this blog! Summer is officially here. With warm weather upon us, it is important to switch to lighter fabrics, more vibrant prints and anything fresh. Thankfully, Sheinside's new promotion is going to make your summer styling easy and affordable. Two of the prevailing trends for summer wear are taking the spotlight in this new promo wherein you can get up to 32% off you purchase with code reduce32. For more of your style options, you can visit this page. What is your favorite trend to wear for summer this year? Disclaimer: This post contains affiliate links. Thank you for your support on this blog. To call myself a fashion blogger is a misnomer; I don't really talk in-depth about fashion trends or latest fashion events. I am more of a personal style blogger - blogging to showcase my personal taste in fashion and other ways I incorporate (or not) trends into my day-to-day looks. There are certain challenges to becoming a personal style blogger, though. Budget is one of the most pressing of these issues. We're not celebrities or models that get free clothes to model or wear for photoshoots. Hence, it is always a challenge to re-mix pieces on your closet to come up with new looks. An easy solution for that? Buy new clothes - right? But this could come at a high price, literally speaking. Not everyone of us can afford to buy new clothes every week, every month! If you do feel the urge to do that, stop now. Here are a few tips I've learned along the way (from others and from myself) about coping with the urge to buy new clothes as frequently as you are compelled to. 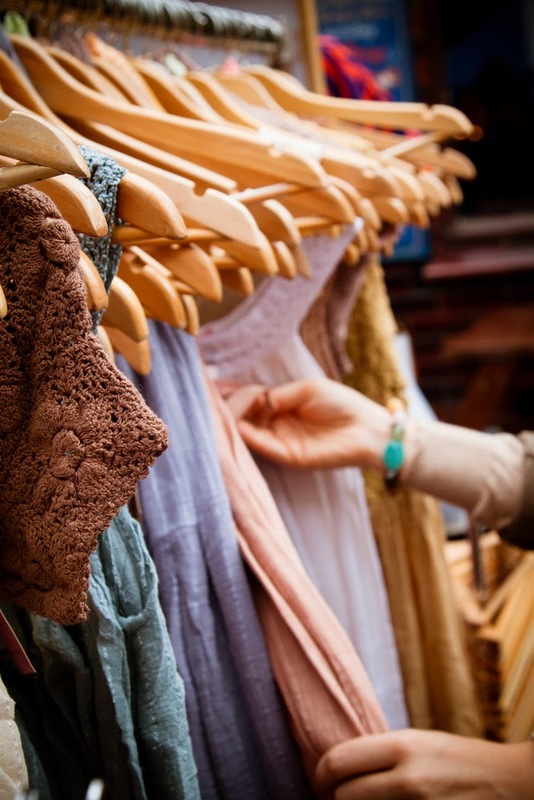 I bet you've encountered the phrase "shop your own closet" before. Most of us think that we have nothing to wear. However, this could be a case of simply not being organized enough so you can't actually see what you have! The moment you organize your closet, you'll find pieces you haven't worn in ages! It will be exciting to try them out again and see how you can style them. If there are items that you have never worn or worn only a few times, ask yourself why. This is an important step so you can determine what to change about your shopping habits in the future. It is all about smart shopping not the frequency of your shopping trips. Are your old pieces torn or need fixing? Have you not worn an item because you don't like the fit? Invest on getting them mended or tailored to give you the right fit. It is more affordable than buying a new piece of clothing. After running through your items, are there any items that you do not want to wear anymore? Sell them! Or donate. Either way, you can free up space in your closet to become more organized and get some money you can use for when you really need to buy something. I know me giving out these tips is easier said than done. Even, I myself, struggle with the need to impulse shop. But hopefully, this will give us a broader perspective on the idea that it is more fun and creative to style pieces that you own rather than buy something new! 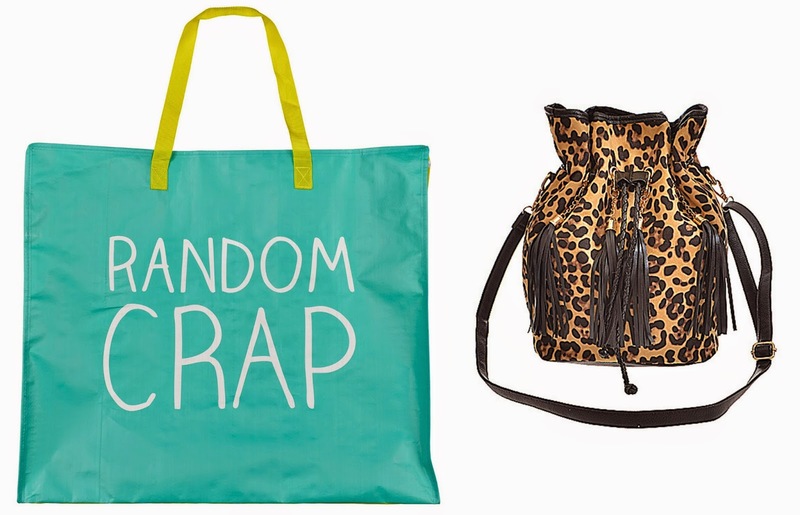 Are you guilty of shopping new clothes all the time? How do you fight the urge?